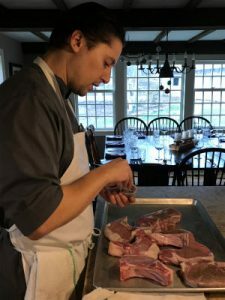 On Thursday, February 28th, Field House Farm will host a field to table dinner unlike any it has had to date. As part of our mission, all of our farm dinners focus on the seasonally available products from Field House Farm and other local Connecticut farms. This always includes a variety of farm ingredients picked fresh or preserved fresh at their peak harvest for year round use, whether it be produce, fruits, beef, pork, poultry, or dairy. 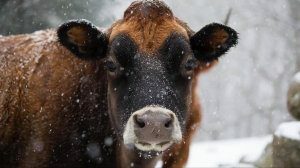 In keeping with this theme, we are offering an entire meal dedicated to honoring the amazing Dairy Products of Connecticut Farms. Chef David Borselle, Executive Chef and owner of Park and Oak Restaurant and Bar in West Hartford, who is also a long time collaborator with our field to table dining series, will create and prepare for our guests a four course savory menu which will showcase cheeses, milk, creams, and butter from the following Connecticut farms: Arethusa Farm, Cato Corner, Deerfield Farm, Beaver Brook Farm, and Mystic Cheese. Each savory course of the dinner will be accompanied by a complementary wine pairing. Following in the same footsteps as the dinner, we focus on small production, family owned wineries. The wines we serve with dinner will be expertly paired and presented by Tony Lombardozzi of Ye Old Wine Shoppe in Wallingford. Our evening would not be complete without the dessert creations from Hen & Heifer in Guilford. For each of our dinners, Chef Whang Suh provides our guests with an artistic and decadent dessert of seasonal inspiration. This dessert course will be no different and will also include a Connecticut Dairy showcase. Field House Farm exclusively uses Ashlawn Coffee for our family and guests. Please join us. Seating is limited. $120 per person. Inquiries and questions can be directly made to Stephanie on the farm 203-779-9187. Unfortunately, for a menu of this nature, specific dietary preferences can not be substituted, but can be omitted. Please call Stephanie at the farm to discuss any dietary issues or restrictions prior to the event. No refunds will be issued for cancellations less than four days prior to the event. If cancellation is necessary less than four days prior, payment will be held as credit for future events or products from the farm.